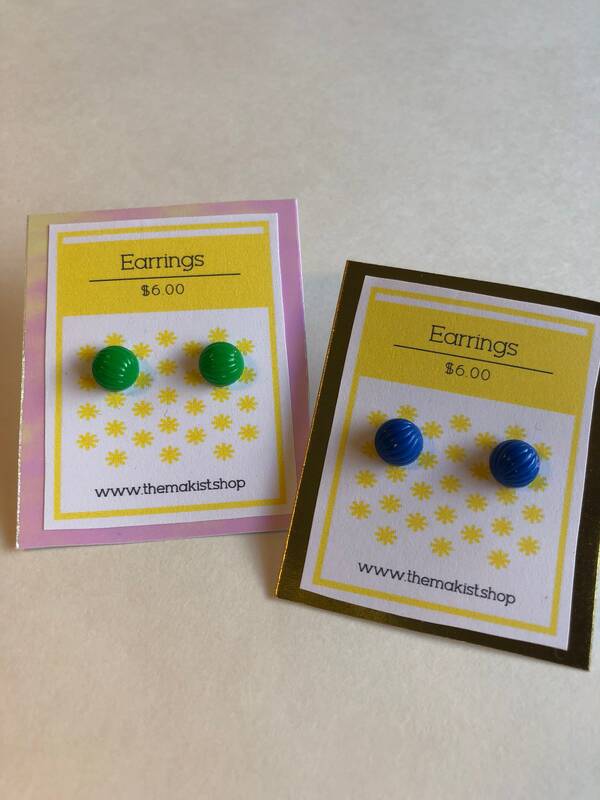 This colorful stud earrings at made with vintage plastic cabochons. 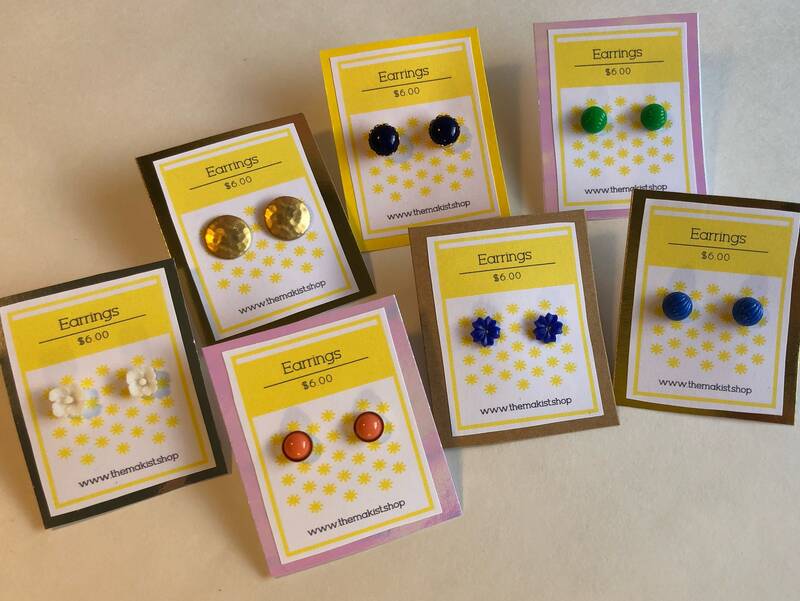 The cabochons are 1/4 inch around about 1/8 inch tall. Pick from green or blue color options.